Hello my name is Julie and I’m a volunteer with the UK Sepsis Trust. As a sepsis survivor I appreciate how lucky I am still to be here and have found volunteering and supporting others has helped me move forward and heal psychologically from my sepsis roller coaster journey. I enjoy facilitating at my local UKST Support Group and also giving talks and presentations, from a patient perspective, to health professionals and community groups. I enjoy fundraising especially my annual UKST Coffee Day. 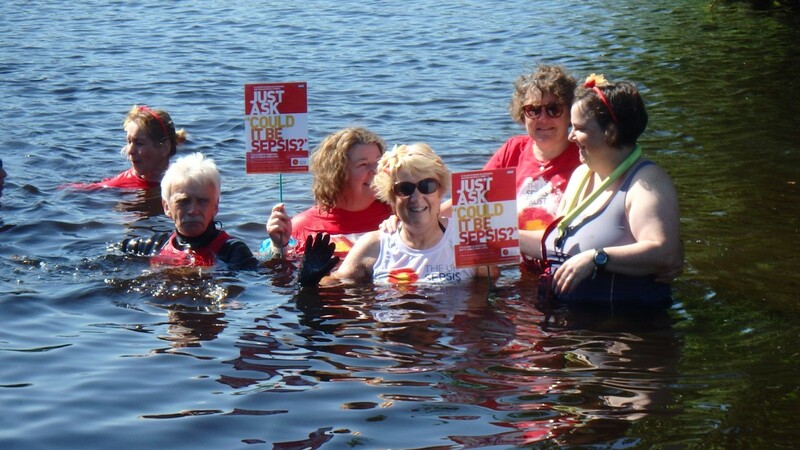 Since my health has improved I have been able to take part in a number of sporting events for the UK Sepsis Trust including the Great North Swim. These events are great fun and importantly help raise funds and increase awareness of sepsis. I am proud to wear my UKST T shirt and it very often leads to a “sepsis chat” and an opportunity to pass along a few symptoms cards and links to the website.